Great Reference from Vince !! Dear Richard: Just wanted to thank you and your staff for a superior 5 star job in taking care of out Hunting safari from start to finish. We have received our Trophies yesterday Just as described. With the 5 star services of Jeane and his Staff Taxidermy africa, Mark at Seabird logistics (shipping trophies ) along with Matt at Genus logistics. (customs broker) Everything went exactly and as smoothly as you said. Your safari operation is by far the Best I have ever had the pleasure of dealing with. From the beginning, with your Packages choices and trophies that were available, Custom travel helping with booking Afton house, Flights and insurance. When we arrived in Johannesburg Afton's representatives meet and greet VP service at Aircraft Door was spot on. In Port elizabeth, your staff was there to help us with luggage & Firearms pick up. Back to Safari lodge where we had a fantastic hunting experience with Lallase & John our PH. The stalking and Still Hunting was just like I expected. Not Just driving around shooting from Truck. That is largest different from other safaris outfitters. The dinners were very good especially the BBQ night we had. Once again thanks for all your help and kindness I look forward to My next safari with You Next Year. 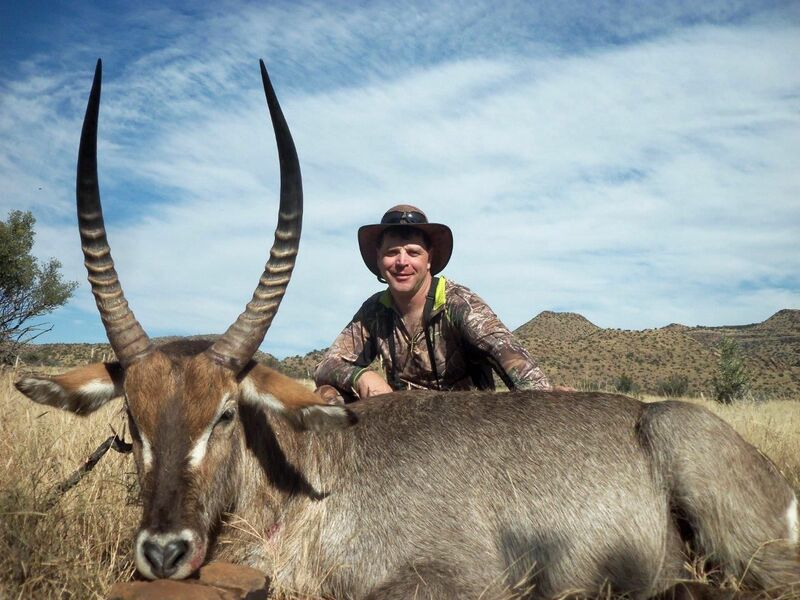 Vince Javornick's group hunting Safari trophies have all arrived safely in the USA ! Dip and pack / raw prep and Shipping done with Taxidermy Africa and Speedbird Logistics, and as usual excellent work ! !